Archduchess Ilona of Austria was born on 20 April 1927 in Budapest. She was the daughter of Archduke József Ferenc of Austria and his wife Archduchess Anna. 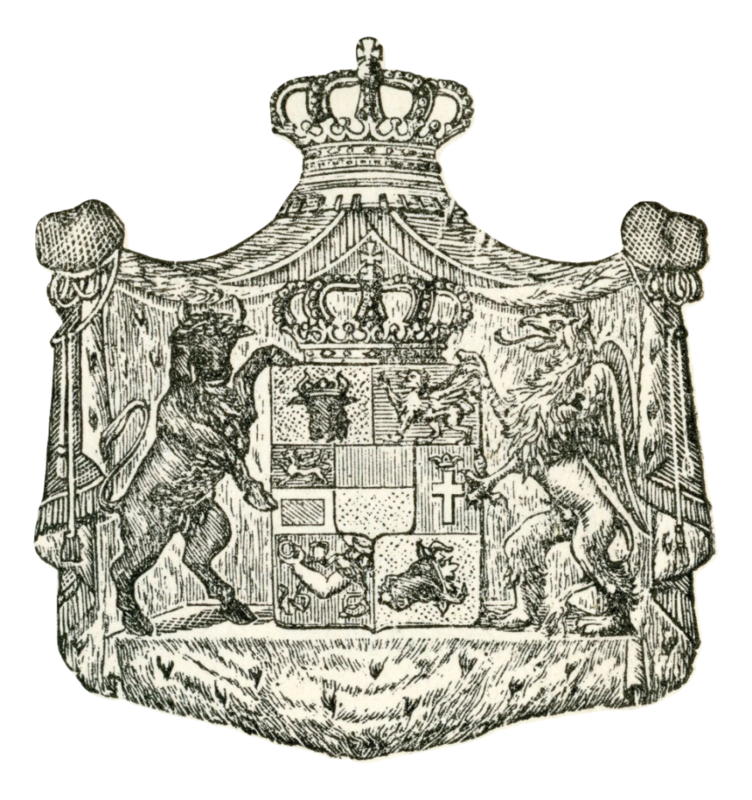 Although the Habsburg-Lorraine family had ceased to reign in Austria, Hungary and the other parts of the empire in 1918, Archduchess Ilona’s branch of the family founded by her great-great grandfather Archduke József, Palatine of Hungary were permitted to remain in Hungary in the post war period with the country even reverting to a kingdom in 1920 although the Habsburg’s were not restored to the throne with the country instead being ruled by the regent Admiral Miklós Horthy. Archduchess Ilona was christened into the Roman Catholic Church on 30 May 1927 being named after her godmother Queen Elena of Italy who was represented at the ceremony by the Italian Ambassador to Hungary Count Ercole Durini di Monza. Ilona is the Hungarian version of Elena which in German is Helene. 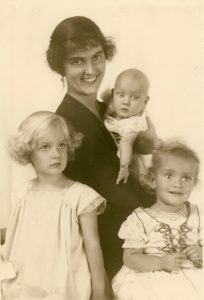 Archduchess Ilona spent her childhood in Budapest where her family lived in a villa on Tapolcsany Street in Budapest’s district II which her father had acquired following his marriage to Princess Anna of Saxony in 1924. She lived here until the early the 1940s when the family moved to another part of the city taking up residence in a villa on Palatinus Street in Budapest’s district III. In addition to the city villas her family also owned the Alscut Palace located outside of the capital. For her education Archduchess Ilona attended the public Montessori School in Budapest where she studied alongside her sisters the Archduchesses Margit; born 1925, and Anna-Terézia; born 1928. In addition to her two sisters Archduchess Ilona had a further five siblings, Archduke József Árpád, born 1933, Archduke István, born 1934, Archduchess Kinga, born 1938, Archduke Géza, born 1940 and Archduke Mihály, born 1942. Hungary’s entry into the Second World War in 1940 would mark the beginning of the end of Archduchess Ilona and her family’s time in Hungary. In late 1944 following the Soviet Union’s invasion Archduchess Ilona and her family were forced to flee the country via Austria to Sigmaringen in Germany. During their early years abroad the family survived with the support of their Hohenzollern relations who provided them with a residence at Sigmaringen Castle, and by selling the jewels that Archduchess Ilona’s grandmother Archduchess Auguste had managed to bring out of Hungary by sowing them into her clothes. In Sigmaringen Archduchess Ilona met the young hereditary prince of Mecklenburg-Strelitz, Duke Georg Alexander. The couple became engaged and were married in the town on 20 February 1946 in a civil wedding, followed by the religious wedding two months later on 30 April. The newlywed couple stayed on in the state of Württemberg-Hohenzollern (later merged into Baden-Wurttemberg) in the southwest of the newly created country of West Germany where they had four children together, Duchess Elisabeth Christina, born 1947, Duchess Marie Katharina, born 1949, Duchess Irene, born 1952 and Duke Borwin, born 1956. During the 1950s and 1960s Archduchess Ilona witnessed the marriages of two of her cousins into the Grand Ducal Family. In 1956 her second cousin Archduchess Charlotte, daughter of the Blessed Emperor Karl, was married to her widowed father in law Duke Georg, followed in 1965 by her first cousin Princess Maria Margarethe of Hohenzollern to her brother in law Duke Carl Gregor. With the death of her father in law on 6 July 1963 and her husband’s succession as head of the House of Meklenburg-Strelitz, Archduchess Ilona succeeded her cousin Archduchess Charlotte as consort of the head of the Grand Ducal House. In 1963, Archduchess Ilona, Duke Georg Alexander and their youngest child Duke Borwin moved to Ireland. The family lived at Culleen House, near Mullingar in County Westmeath, which was owned by one of her brother in law Hassan Sayed Kamil’s Swiss businesses. Living in Ireland the family often visited Archduchess Ilona’s maternal uncle Prince Ernst Heinrich of Saxony and his second wife Princess Virginia who lived nearby at Coolamabar Lodge in County Westmeath, and two of his sons from his first marriage, Prince Dedo and Prince Gero who lived in County Wicklow. 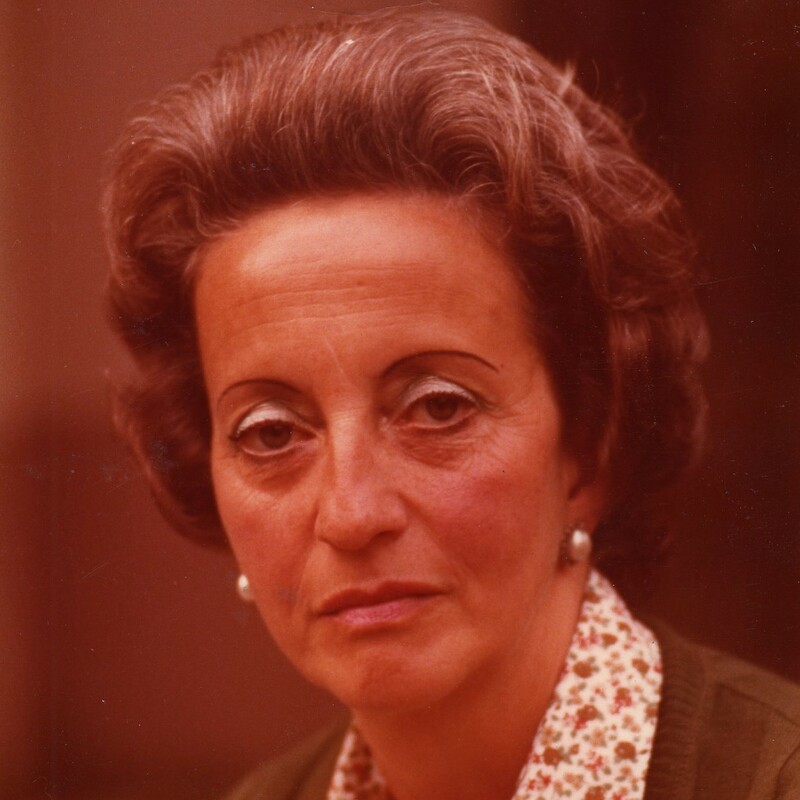 Archduchess Ilona and her family’s time in Ireland came to a sudden end in 1969 with the collapse her brother in law’s Swiss businesses with his assets taken over and sold by the state. The family therefore had to return to West Germany where they resettled in Baden-Württemberg. On 17 December 1974, the marriage of Archduchess Ilona and Duke Georg Alexander was dissolved by divorce. Following the divorce Archduchess Ilona lived for a time in Münster, North Rhine-Westphalia before later returning to live in Freiburg, Baden-Württemberg where she died on 12 January 2011 aged 83. She was buried in Ruhpolding, Bavaria.